The two images below demonstrate the difference between analog and digital x-ray images. The image on the bottom is essentially 640 by 480 pixels, or approximately 300 kilo-pixels resolution, where the image on the top is 1280 by 1024 pixels, or approximately 1.3 mega-pixels resolution. The quality difference explains why digital x-ray radiography has become the standard. Both analog and digital detection systems contain five elements: a sensor, an amplifier, an analog to digital converter, an image processing computer, and a display. Yet what makes digital x-ray radiography more effective? The answer lies in the differences between the two detection systems. In analog x-ray detection, the sensor and the amplifier comprise the camera. An analog signal comes out of the amplifier and, therefore, out of the camera. The computer takes the analog signal, digitizes it, and sends it to the image processing computer. Figure 1, Digital x-ray radiography image (Top), Analog x-ray radiography image (Bottom). Since many customers require real-time imaging, the camera technology for analog detectors is similar to standard TV cameras. The image intensifier in an analog system works by placing an x-ray sensitive phosphor, such as cesium iodide, on a plate facing the x-ray tube. Any x-rays from the tube that have sufficient penetrating power to pass through a sample will impinge upon the phosphor. The phosphor converts the incoming x-ray photons into visible photons. These visible photons can then be seen and captured by an optical camera. This limits the image size to 640 by 480 pixels, or possibly 768 by 576 pixels. Conversely, a digital detection system encompasses the sensor, amplifier, and analog-to-digital conversions within the camera. In fact, the sensor and conversion can be incorporated into a single package. A number of different formats are available in digital detection systems. Image intensifier using a digital CCD camera, or a digital image intensifier. Amorphous carbon with scintillator panel. Fibre-optic plate with x-ray scintillator (FOS). FOS coupled to a CCD camera. Figure 2, The picture on the top shows an analog x-ray radiography system, with the analog-digital converter separate from the camera. 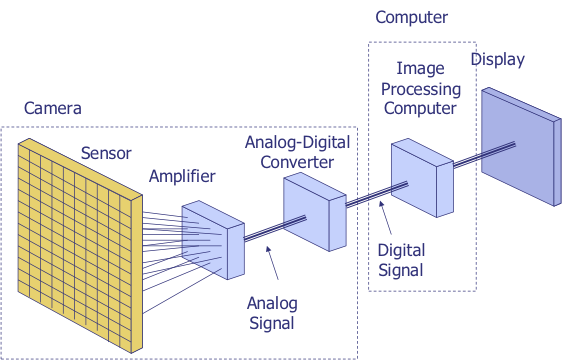 In a digital system like the figure on the bottom, the analog-digital converter is part of the camera. The table at the bottom of the page shows some of the important features and differences between digital and analog sensors. 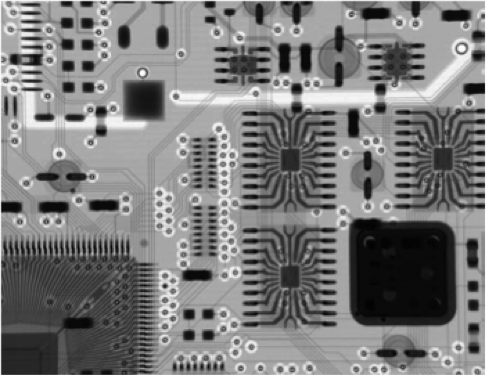 A CMOS sensor would be classified as a digital sensor. While analog intensifiers are fast, their resolution is limited in both pixel size and gray scale. Both CMOS sensors and digital intensifiers use the cesium iodide phosphor, but can resolve the phosphor image with higher resolution or more line pairs per centimeter. 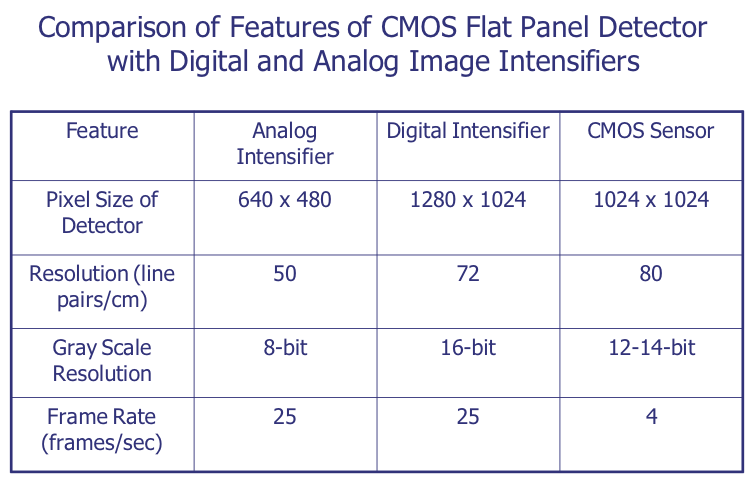 Digital intensifiers are faster than CMOS sensors. While a CMOS sensor can output images at a rate of up to 4 images per second, the digital intensifier can do rates up to 25 images per second, providing better real-time imaging. 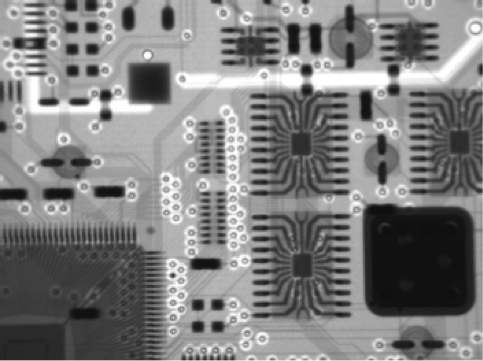 In order for a CMOS sensor to provide real-time imaging, the array must be sub-divided into a checkerboard pattern. This reduces the resolution, making the images lower quality. However, some systems use CMOS sensors because they are cheaper than digital intensifiers. One should be aware of this issue when performing x-ray imaging. A fermion is any particle that has an odd half-integer (like 1/2, 3/2, and so forth) spin. 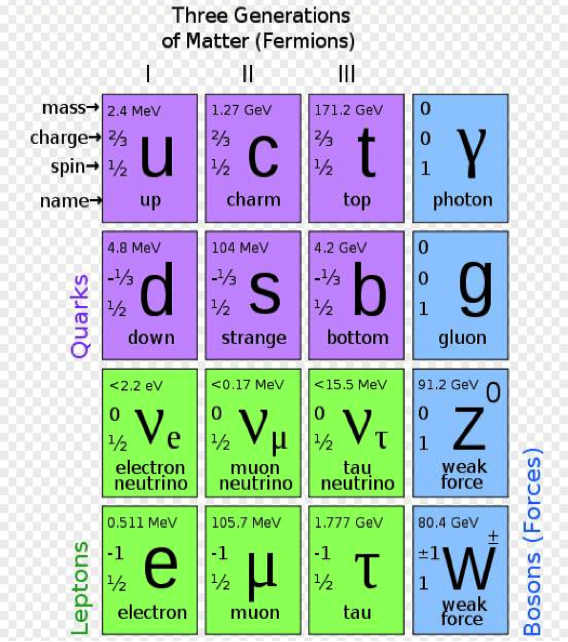 Quarks and leptons, as well as most composite particles, like protons and neutrons, are fermions. Most important to our discussion is that electrons are fermions. For reasons we do not fully understand, a consequence of the odd half-integer spin is that fermions obey the Pauli Exclusion Principle and therefore cannot co-exist in the same state at the same location at the same time. Bosons are those particles that have an integer spin (0, 1, 2...). All the force carrier particles are bosons, as are those composite particles with an even number of fermion particles (like mesons). When considering solar cells, it’s most important to note that photons are bosons. Figure 1, Chart showing subatomic particles. Q: For conductive die epoxy, is it possible for the epoxy to become non-conductive? Is the epoxy conductive to X,Y, Z direction while grain size of silver is connected in specific direction? I believe the epoxy is a silver small grain size in liquid form. The liquid is non-conductive. Is this correct? If so, how does the epoxy become conductive? A: Conductive epoxy adhesives usually set up their conductivity in a planar manner. Silver additive is normally in a flake format and forms a set of platelets that provide that planar structure. Cure shrinkage of the base epoxy resin compresses the silver particles to make mechanical contact with each other. Losing conductivity could result from (1) thermomechanical delamination, (2) poor or no initial curing, or (3) separation of silver through either (a) initial resin bleed or (b) incomplete pre-mixing.